How far would you go to find someone you loved? Would you go across town? To another city? What about another continent? How about space? We at HIDIVE know how far we’ll go for those we care about. That is, except for Lenny. He’s on his own. As for Yukari, we’ll soon find out because we’re giving HIDIVE subscribers a Christmas present! (Except for Lenny. He gets coal because HE KNOWS WHAT HE DID!) Rocket Girls will premiere on December 24, 2018 at 17:00 UTC with more episodes coming out every Monday! Yukari Morita’s father disappeared years ago, but she’s determined to find him even if that means traveling all the way to the Solomon Islands. Meanwhile, the Solomon Space Association has a big problem. Their rockets can’t take astronauts into space. When Yukari’s path crosses with the SSA director, who realizes she’s small enough to handle an old rocket’s weight requirements, he offers her the deal of allowing the SSA to help her find her father if she becomes an astronaut. Houston, TX, December 19, 2018 - It’s the age-old question: Why does anyone do anything? Well, you know what? Sometimes you don’t need a reason, dammit! Sometimes, we just want to watch a teen drama Just Because! Eh, eh? See what we did there? Well, clear out your schedule on December 28, 2018 at 15:30 UTC, cause we’re releasing all the episodes of Just Because! (INCLUDING the Special). Sentai Filmworks even prepared a trailer and synopsis for your enjoyment! Well not that many more days left in 2018 . Have you ever taken a look at all the people around you and ever wondered what their lives must be like? We don’t mean in a “comparing your life against theirs” or “I wonder if they’re single” way. We mean that one, picture perfect moment of crystalized empathy when you realize that others have their own lives independent from your own yet, at the same time, we’re all actors with billions of interconnected stories that make up the grand story of life. What? Don’t look at us like that, we can be serious if/when we want to! 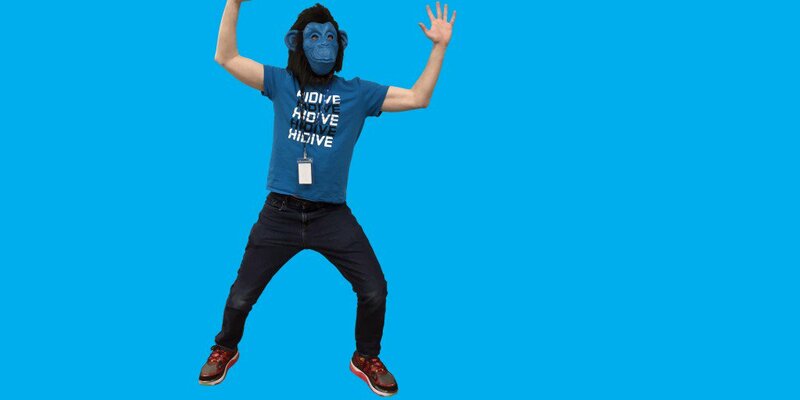 Hey, what’s up, HIDIVE HI FIVERS? Everyone looking forward to the new year? Well if you weren’t before…you should be now! You can continue the story of Iroha and Hikari as Real Girl continues! You can watch it on HIDIVE starting Tuesday, January 8, 2019 at 18:30 UTC. Follow the popular Iroha Igarashi and reclusive Hikari Tsutsui, as they continue to navigate the tumultuous waters of young love and what it means to be true to yourself. As their relationship grows and deepens, new and difficult challenges threaten to break them apart. While they are committed to overcoming everything that comes their way as a couple, will somethings be too much for them to conquer? Welcome to 2019! A new year filled with exciting new possibilities is finally here for both you and HIDIVE! We’ve got announcements to make regarding our simulcast schedule, so let’s hit the ground running! Rejoice, anime fans: We’re bringing you the simulcast for BanG Dream! 2nd Season for your viewing pleasure. Mark your calendars for January 3, 2019 because that’s when you’ll get to watch the first episode on HIDIVE! Keep the party going by watching new episodes every Thursday at 14:00 UTC! Hey, we at HIDIVE don’t know what your plans for Saturdays are, but if you’re free, let’s meet up with W’Z at 17:30 UTC starting January 5, 2019. Can’t make it? No worries, we take rain checks. For those of you who can, great! This is gonna be epic! Just, uh, do us a solid and don’t tell Lenny where we’re going. He’s kinda a major buzzkill. The human heart is a mysterious thing, especially when it comes to love. It doesn’t matter how intelligent or confident you are. There’s something about coming face-to-face with your crush that makes everything you planned to say go right out the window. It can truly be a frustrating experience, especially when you’re still in junior high. Which just so happens to be the situation Ueno finds herself in. HIDIVE’s streaming her attempts at confessing with How Clumsy you are, Miss Ueno every Sunday at 16:45 UTC starting January 6, 2019! Will she ever succeed in her endeavors? Tune in and find out! Not only is Ueno the president of the science club at her junior high, but she’s a genius inventor, too! However, despite everything she has going for her, there’s this big problem she can’t seem to solve. No matter what she does, she can’t figure out how to confess to her crush, Tanaka! Can she find a way to give her heart what it truly yearns for? Imagine a world where anime no longer existed. We don’t know about any of you, but we at HIDIVE don’t want to live in that kind of world. (For starters, we’d all be unemployed.) But alas, in the world of Pastel Memories , such a scenario has regrettably come to pass. HOWEVER! Hope remains, and if you wish to join the fight to save all that otakus hold dear, tune in Mondays at 17:30 UTC starting January 7, 2019 and do your part to preserve anime.